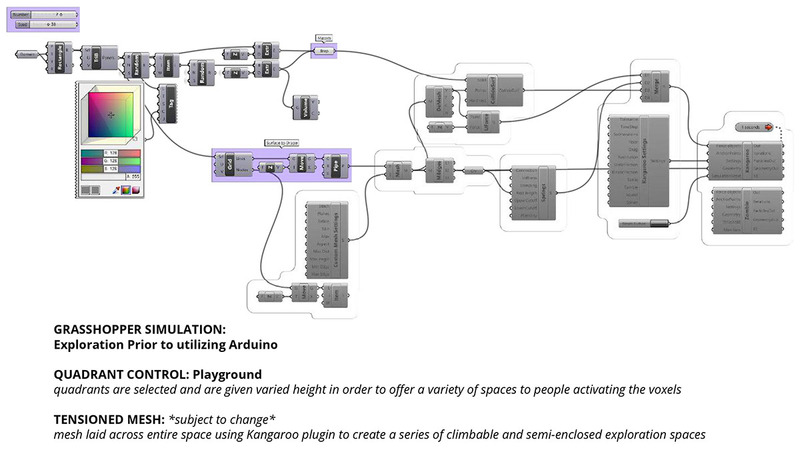 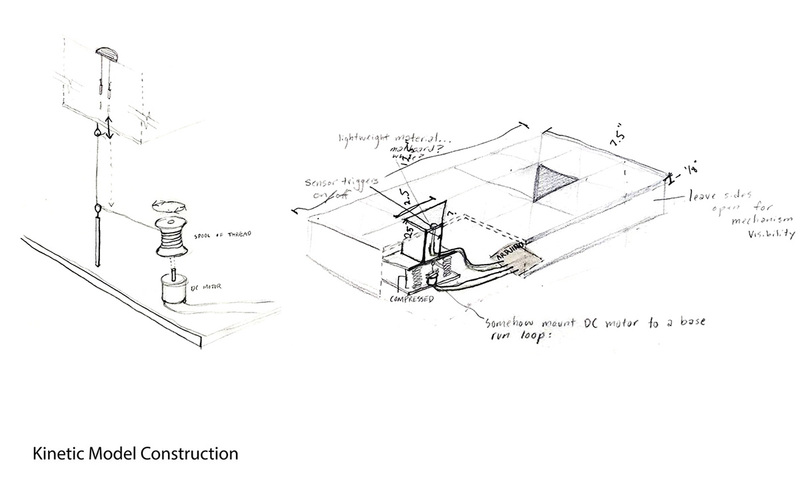 Kinetic Landscape is an implementation of arduino script and robotics into an alternating play space that can increase the quality of playground space in dense urban environments. 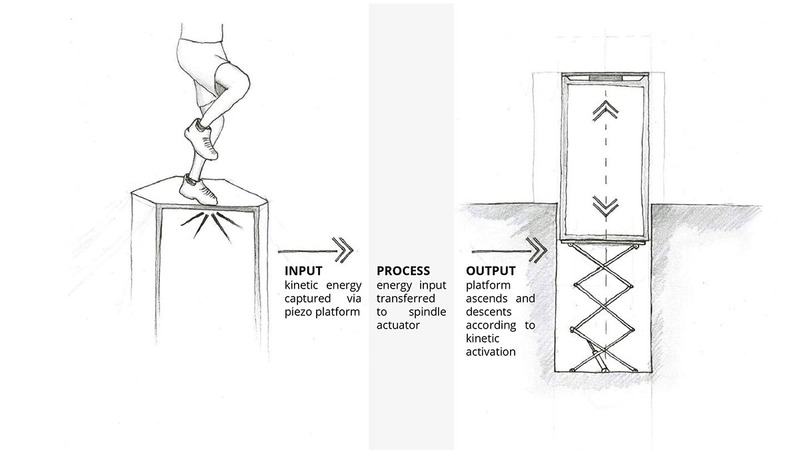 A series of modules are arranged like a grid pattern with stacked Piezoelectric sensors that would create a looped motion where modules rise and descend in order to alter the play field. 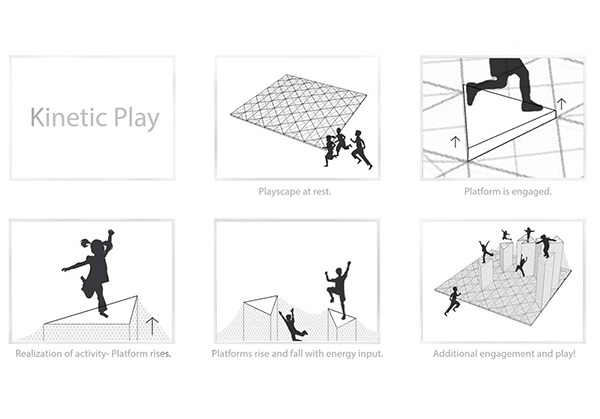 A mesh is applied to the field and fastened to each module, so there is a climbable landscape to explore. 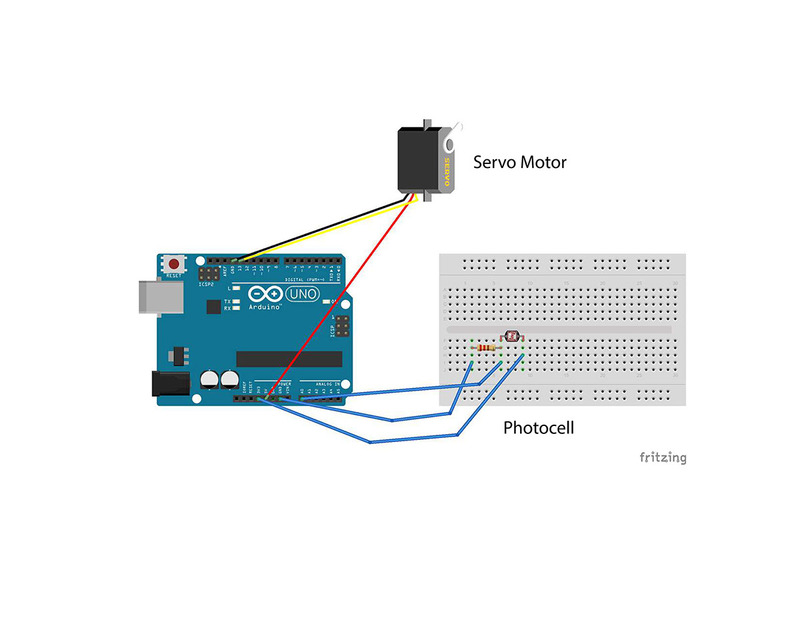 Through the model creation however, due to time and money we simulated the idea of touching the modules to make them move by modifying a photocell sensor to only respond when there is no light detected. 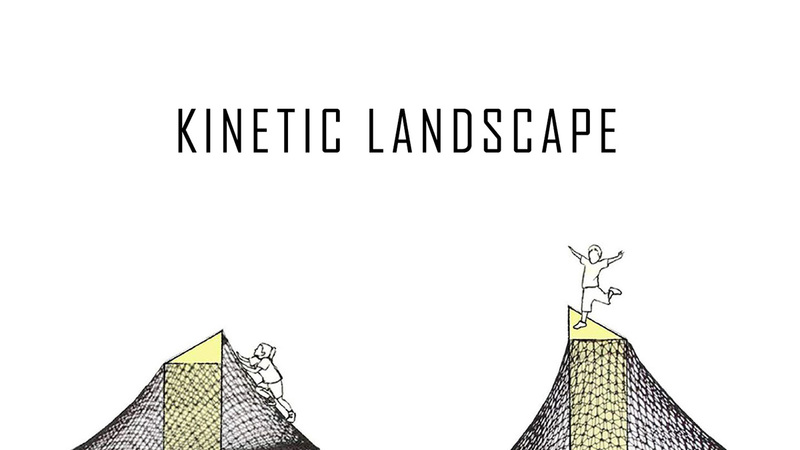 Kinetic Landscape is an implementation of arduino script and robotics into an alternating play space that can increase the quality of playground space in dense urban environments. 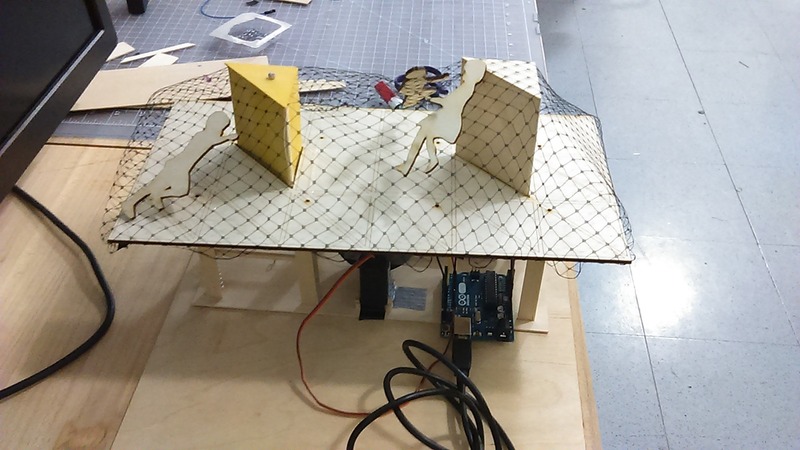 A series of modules are arranged like a grid pattern with stacked Piezoelectric sensors that would create a looped motion where modules rise and descend in order to alter the play field. 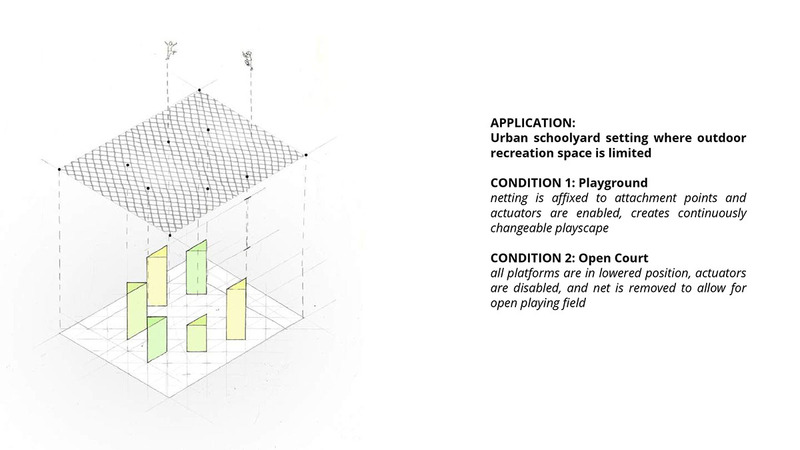 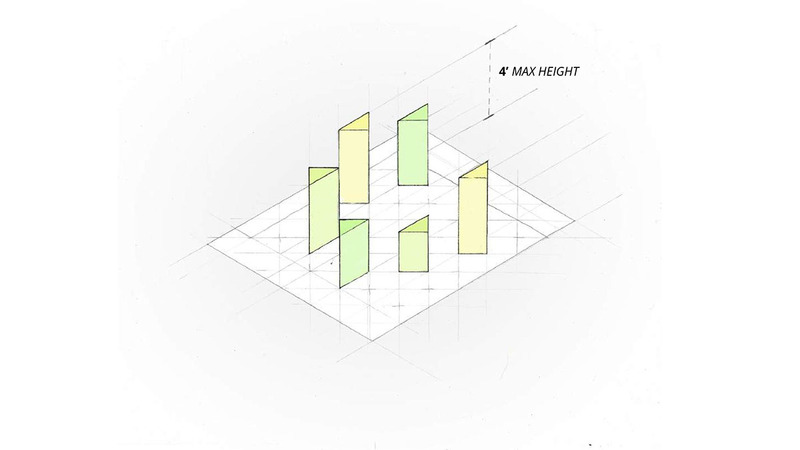 A mesh is applied to the field and fastened to each module, so there is a climbable landscape to explore.